CNHRPC’s Regional Transportation Improvement Program (TIP) to cover Fiscal Years 2021-2030 was adopted by CNHRPC’s Full Commission on April 11, 2019. The U.S. Census Bureau will conduct a series of free data access webinars to all interested data users. Attendees will learn how to access demographic, socioeconomic, housing and business data from the Decennial Census,American Community Survey, Local Employment Dynamics, Economic Programs and more. To learn about and register for our webinars, visit Census Academy. The 1st NHDOT Statewide Freight Plan was approved by FHWA on February 11, 2019. The purpose of the plan was to advance national and state policy goals and objectives. The freight system includes the various transportation systems including highway, rail, airport and marine (port and harbor terminals) in the state. More information and a link to the plan can be found on NHDOT’s Website. Registration is now open! 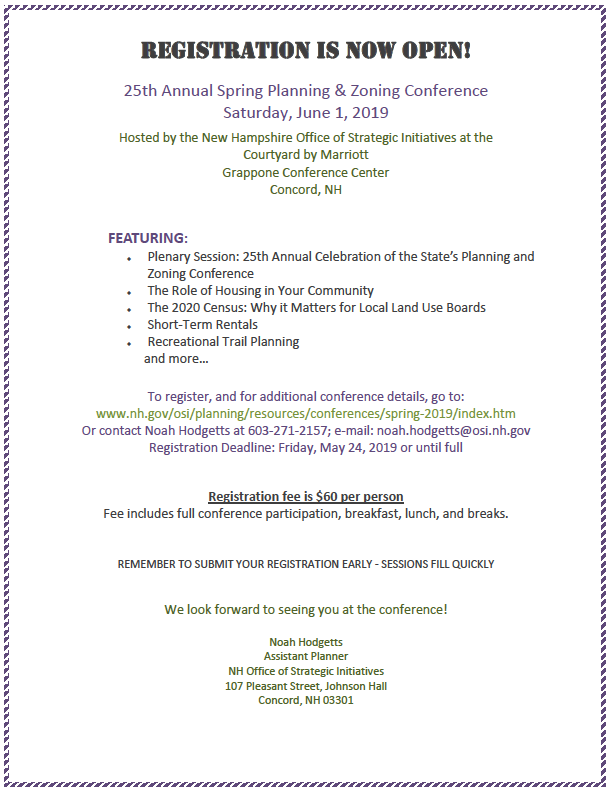 The 2019 Planning and Zoning Conference hosted by the NH Office of Strategic Initiatives will be held on Saturday, June 1, 2019. Registration and additional information can be found on the conference website. The Central NH Regional Planning Commission is developing a coordinated trails plan for the Suncook Valley area in Spring 2019 for the benefit of residents, decision makers, visitors and businesses. An evaluation of the trails opportunities within the former Suncook Valley Railroad corridor in Allenstown, Epsom, Pembroke, Chichester and Pittsfield and the existing trails connections to this corridor could enable the future development of collaborative trails projects while enhancing and preserving those local community features dearly desired by Towns. To develop this trails plan, we are seeking the assistance of Suncook Valley area municipal committees, area trails clubs and other groups to ascertain interest, issues, and opportunities. Click here to learn more! Walk or bike in New Hampshire and want to provide input? Feedback is being sought in the development of the New Hampshire Pedestrian and Bicycle Transportation Plan. Visit nhpedbikeplan.com to provide input, identify locations for improvement on a interactive map, and sign up to be informed of upcoming meetings and other events. CNHRPC Community Profiles Have Been Updated! The CNHRPC Community Profiles have been updated with newly released 2013-2017 American Community Survey data! View them here! Since being awarded a second brownfields grant from the U.S. EPA, CNHRPC has been able to continue assessment work at its existing sites as well as explore new ones. With regard to existing sites, the Naughton Landfill in Bradford and the Allied Tannery in Boscawen have both benefited from an reuse analysis as well as a market analysis. Both studies have explored the possibility of certain redevelopment uses being realized. This will lay the foundation for reuse planning. In Hillsborough, the Woods Woolen Mill site has continued Phase II work and this spring the site will undergo further drilling and testing. This should round out the assessment process for these properties and lay a foundation for reuse planning. Finally, the two Pittsfield sites are in a position this spring for final drilling and testing to round out Phase II assessment work. Once done additional nearby properties that could be assessed in an effort to further a larger downtown revitalization effort consistent with the 2011 Community Charrette. With regard to additional sites, a number of potential properties have been identified across the region. At this stage the owners of two sites have been contacted and may decide to participate in the program at their own discretion. Three additional sites have had scopes developed for assessment work and are currently being considered for action by each community and each property owner. CNHRPC is hopeful that these properties will join the sites in Bradford, Boscawen, and Pittsfield in utilizing the Region’s brownfields funds to moving these properties to cleanup and productive reuse. The New Hampshire Drought Management Team, coordinated by New Hampshire Department of Environmental Services (NHDES) and composed of state and federal agency representatives and stakeholders, met on July 19, 2018, to discuss drought conditions and impacts. Currently, the U.S. Drought Monitor categorizes 62% of the state, mostly in the southern half, as moderate drought and the remainder of the state as abnormally dry. Based on this development, the team agreed that the most important recommendation right now is for the public to be mindful about outdoor water use and conserving resources. Recommended steps to take include reducing or eliminating landscape watering, limiting any watering to between 7 PM and 5 AM, and suspending the washing down of large outdoor surfaces such as cars, homes and driveways. Currently, 47 community water systems have imposed outdoor water use restrictions and the number is expected to increase as drought persists. Dr. Mary Stampone, New Hampshire State Climatologist, confirmed that drought conditions are not as severe as they were at this same time of year during the 2016 drought, but she said this drought has come on just as quickly and is more widespread. She stated that the development of the drought is a result of below average rainfall in the late spring and early summer coupled with high temperatures, while the 2016 drought was compounded by an early spring and a less-than-average snowpack. Dr. Stampone made it clear that while rain is in the forecast for the upcoming week, there is an equal chance of above or below average rainfall and a likelihood of above average temperatures for the upcoming month, meaning that drought conditions may continue through August. Homeowners on private wells and many smaller community water systems can be more susceptible to the impacts of drought, as they often do not have the resources larger water systems have to manage drought, such as full-time staff, the technology to track water source levels, or a diversity of water sources on which to rely. Also, finances for well improvements or to drill a new well may be very limited; therefore, during a drought, these water users need to curb water use early. Conservation tips and drought emergency guidance for homeowners on private wells, community water systems, municipalities and the public may be found on the NHDES Drought Management webpage. Go to the “A-Z list” at www.des.nh.gov and scroll down to Drought Management. This NH Stormwater Regional Coalitions Blog, NH-MS4, is for the New Hampshire Seacoast Stormwater Coalition and the Nashua/Manchester Regional Stormwater Coalition communities, and it is hosted by the New Hampshire Department of Environmental Services’ Watershed Assistance Section. 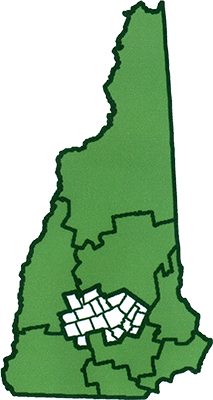 Please visit this site for meeting information, resources and updates related to New Hampshire MS4 (Municipal Separate Storm Sewer, Systems) municipalities. 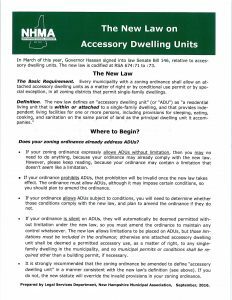 Below is NHMA’s four page handout The New Law on Accessory Dwelling Units (click to view). This handout is meant to provide a basic Do’s and Don’ts for the new Accessory Dwelling Unit statue. The last page contains proposed language for a simple zoning amendment that would allow an ADU by right under a local zoning ordinance. 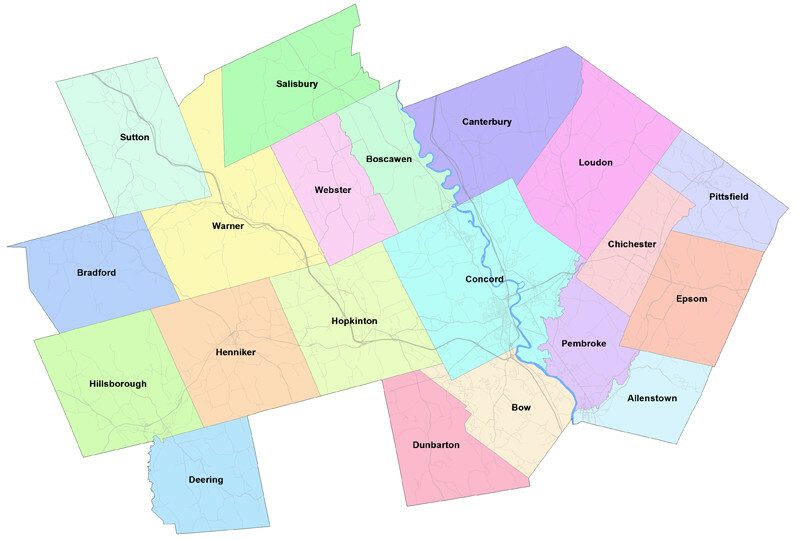 Click on the towns below to access that towns official web site.